Brazilian Body Wave Honey Blonde Remy Hair Bundles & Lace Closure. 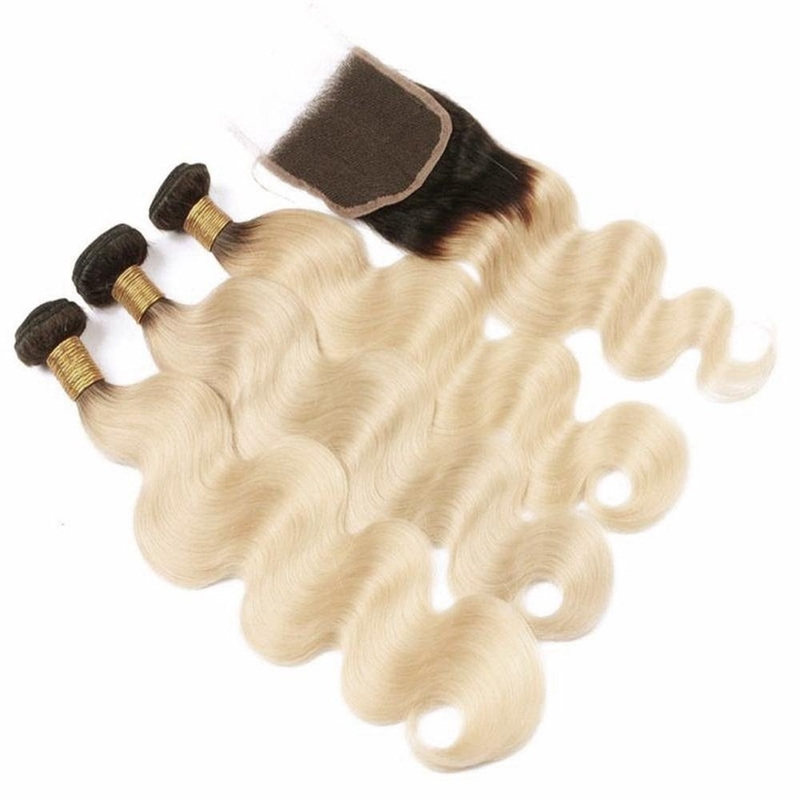 These bundles can be easily colored and have its natural 1B color left at the top of the weft for a more natural look. Brazilian Hair is the most sought after texture on the market right now! This hair is used diversely because of its softness, durability and density. This texture is easiest to blend with most ethnicities from some Caucasian textures to African American. Brazilian hair is extremely luxurious and very soft. Because of its density, you may not want to use as much as you would normally use with other textures to create a full look. Due to its natural density, with this hair, less is more. Also because of its density, it is less likely to frizz than other hair types like Indian Hair. This hair is extremely versatile-it amazing! It's luster is low to medium and most bundles come in a natural color 2-3. Some bundles may have lighter natural highlights. Some bundles are a natural 1b color. Minimal to no shedding. Bundles last one year + Can be dyed/bleached. Can be curled and/or straightened.